Eye care professionals specialize in understanding how the human eye really works, as well as diseases and conditions that affect your vision – many of which do not have obvious symptoms. Eye doctors know how age and risk factors affect vision over time for young and old, and they understand the benefits and features of corrective lenses including eyeglasses and contacts. Dr. Hung was born in Taiwan, grew up in Costa Rica, and has been living in Canada for almost 30 years. He is a Canada Scholar and received both his Bachelor of Science and Doctor of Optometry degrees from the University of Waterloo. Dr. Hung received ocular therapeutics training while working alongside ophthalmologists at the Capital Eye Center in Florida. He has also successfully completed the Treatment and Management of Ocular Diseases (TMOD) component of the American Optometric Board Exams. 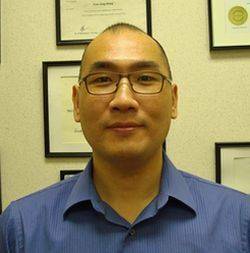 Dr. Hung has been practicing optometry in Alliston since his graduation. For the past dozen years, he has been an Assessor for the Canadian Assessment for Competency in Optometry, the entry-to-practice examination for optometry in Canada, as well as supporting the OneSight program, which provides free eye examinations and spectacles for the less forturnate. In his spare time, Dr. Hung likes to travel and spend time with his wife and young son. He is also an avid sports fan, enjoys playing tennis, and is an automobile enthusiast. 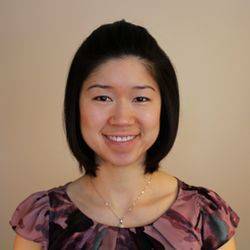 Dr. Sarah Chong has been working with Dr. Hung since 2013. She has a Bachelor of Health Sciences degree from McMaster University, and is also a graduate of the University of Waterloo School of Optometry, where she obtained her Doctor of Optometry degree. As part of her training, Dr. Chong completed an internship in Mobile, Alabama, where she worked alongside ophthalmologists specializing in neuro-ophthalmology, corneal, and retinal disease. Dr. Chong is interested in all aspects of optometry and is passionate about thorough eye examinations for people of all ages to prevent and detect possible causes of vision loss. Dr. Chong is a proud member of the Ontario Association of Optometrists. She is TPA certified, which means she is able to prescribe therapeutic drugs for the management of ocular diseases. Dr. Chong is an avid musician, and enjoys physical fitness, badminton, and cross-country skiing. When not at work, she loves spending time with her family. Emergency Contact: In case of an emergency, please proceed to your nearest health care centre. Emergency Contact: In case of emergency, please proceed to the nearest health care centre.